#Movember is here - Join up with team Android !! 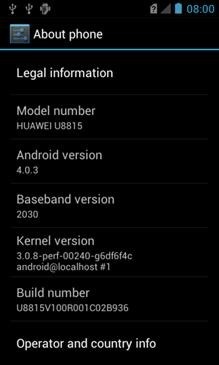 The Huawei G300 was released back in May this year with Android 2.3 Gingerbread on-board and today it has been given some loving by the Vodafone team as they have released the Android 4.0.3 update for the device. The official guide and how to can be found on Vodafone’s eForums so I would suggest you pop over there if you have this handset (if not just to see the plethora of screenshots). The Samsung Galaxy Tab 2 7.0 has only recently been released, and already we’re seeing leaks for the Android 4.0.3 firmware. The folks over at SamFirmware.com have the firmware for the GT-P3100 and GT-P5100 which are the Tab 2 7.0 and Tab 2 10.1 respectively. The firmware identification for each is P3100XWALD2_P3100OJVALD3_OJV and P5100XXALD6_P5100OJVALD4_OJV.